It’s easy to mock the twee, hyperlocal, handmade aesthetic that dominates fashionable enclaves in places like Brooklyn and Portland, Oregon. But in her new book, Homeward Bound: Why Women Are Embracing the New Domesticity, Emily Matchar makes a convincing argument that it actually represents a generational change in values born of a deep disaffection with the modern workplace, one with real implications for gender equality. 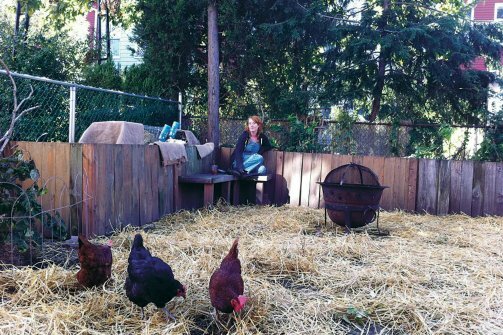 Inasmuch as this new domesticity represents a desire to live more sustainably and authentically, it’s wholly laudable, if also a bit precious. But a return to home and hearth also has a way of reinforcing traditional gender roles, even if everyone involved says she’s only following her heart. ONE MORE DAY! 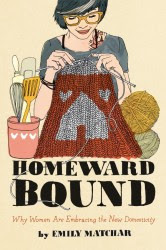 Pre-order Homeward Bound by May 7, and we donate $1 per copy to the National Partnership for Women and Families.